CHANGE has come to YORK, Pennsylvania! 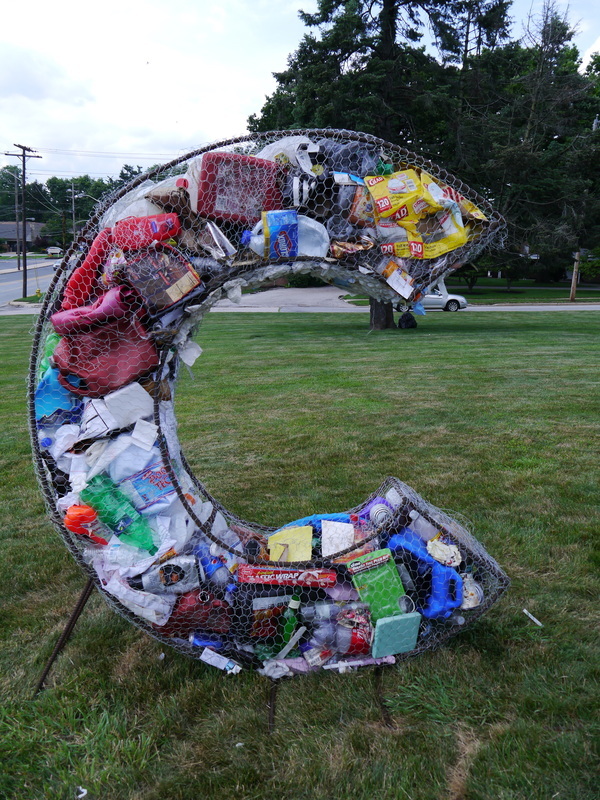 The Cultural Alliance of York County in partnership with York College of Pennsylvania and Keep York Beautiful created a big CHANGE that was on display at Intersection of South George Street and Rathton Road this summer. 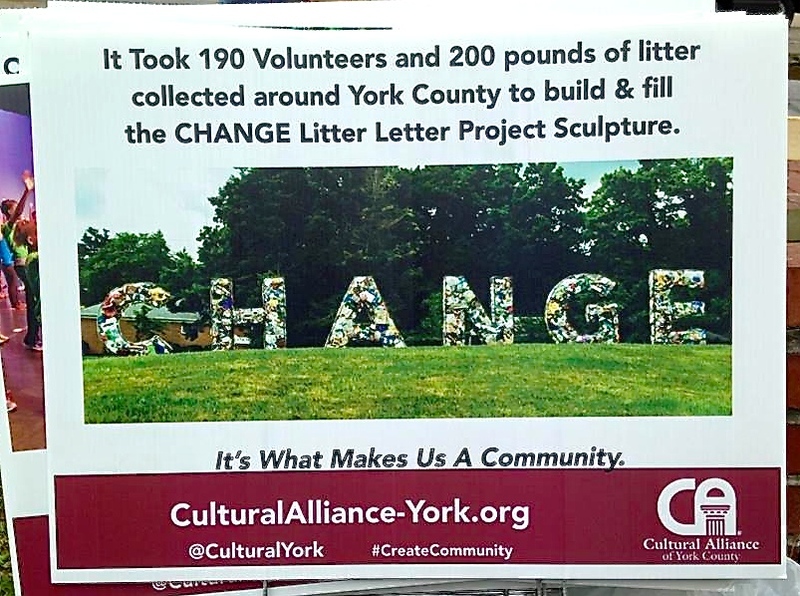 Kelley Gibson, Director of Communications for Cultural Alliance of York County organized a public vote and the community overwhelmingly chose the word CHANGE. With rebar donated by Keystruct Construction, Patrick Sells and Ben Matthews of Working Class York built the 6ft tall letters. A public wrapping party took place in Royal Square followed by help from students at York Academy Regional Charter School. 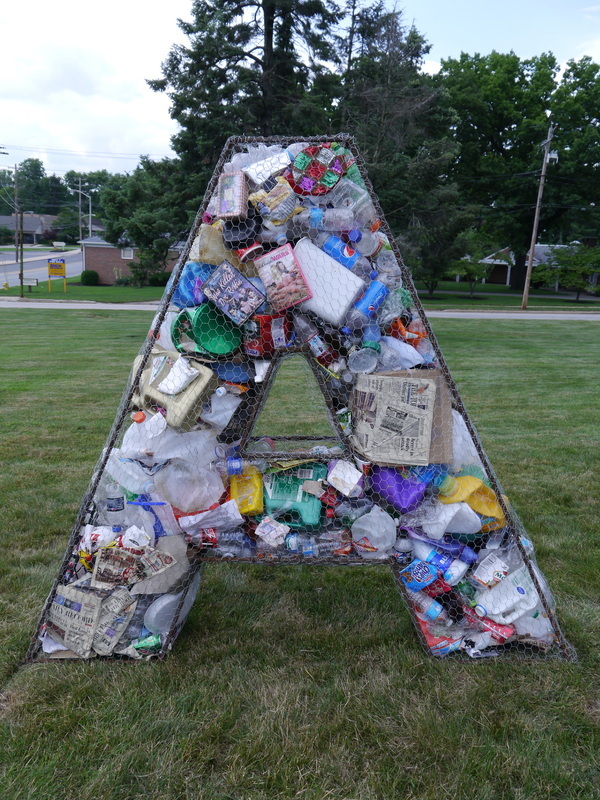 Litter pickups, storage and transportation from York Public Works took place and all the community partners and members of the public came out on a rainy day to work together to fill the letters on site where they sat for 3 months. 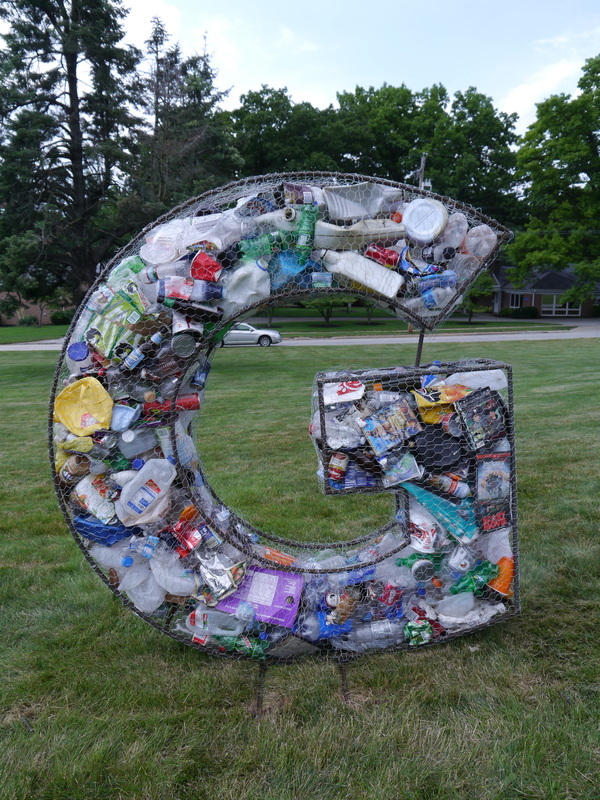 The CHANGE litter letters were then adopted by the parishioners at St. Matthews Lutheran Church. 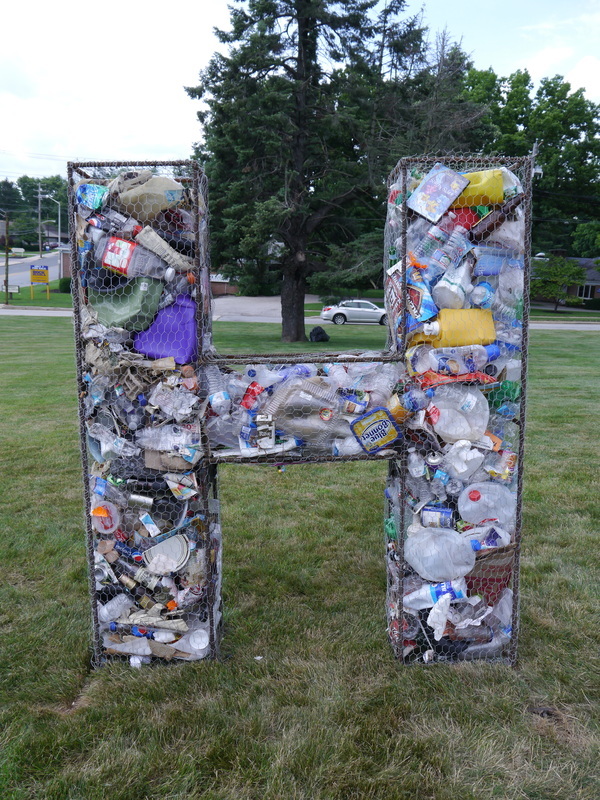 The letters were emptied and transported to their new site, filled again by volunteers and displayed for 3 months. 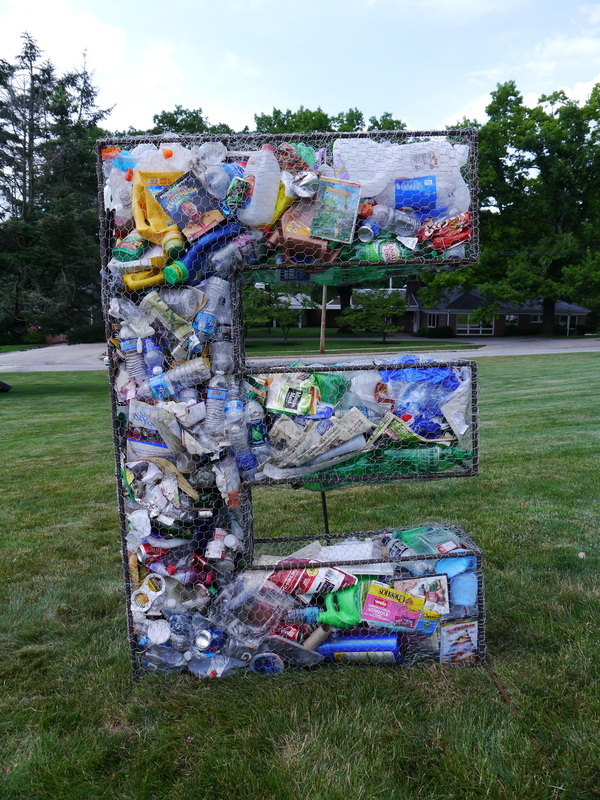 Following winter storage the Letters were then filled again and displayed at York College of Pennsylvania in the Spring of 2015 as part of a new project from the student AIGA group. 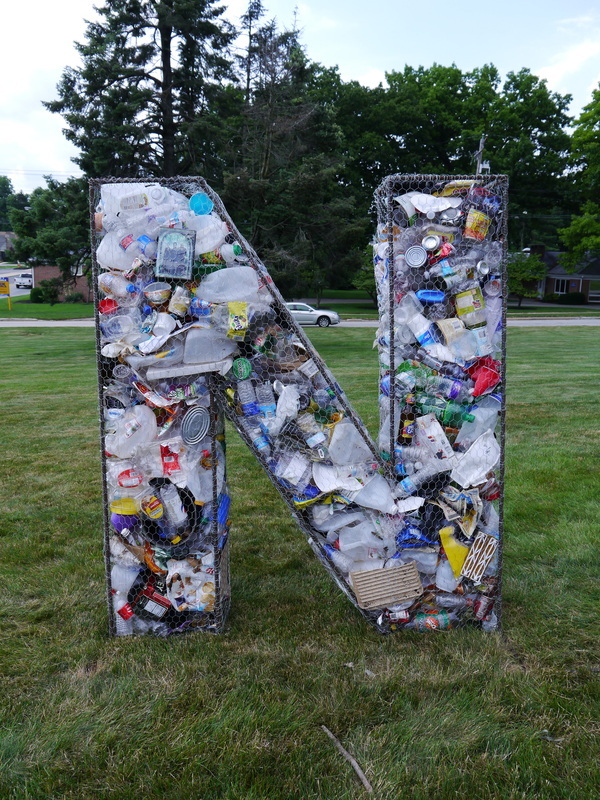 In the summer the Litter Letters were then taken on by The Avenues Neighborhood Association and used for neighborhood cleanups.